Telehealth is a collection of techniques and means of enhancing health education delivery, healthcare, public health and support using communication technologies. It encompasses various techniques and methods to deliver healthcare, medical and education services. 1 Telehealth is increasingly being accepted as a standard of care. Telehealth is increasingly being accepted as a standard of care. The first field to fully embrace telehealth and telemedicine technologies is Medical Imaging. Medical professionals have relied on long distance transfer of medical imaging for more than four decades. When it was in its infancy, it was used to be called teleradiology. It was the process of sending X Rays and other medical imaging from one facility to other for quick analysis and diagnosis. This has become so common in the recent years that the term is not even used anymore. It is a de facto standard in almost every hospital in the world. Patients were surveyed and it revealed that most of the patients are comfortable using telehealth services from home like using video calling and other remote healthcare technologies. But the survey also revealed that more than eighty five percent of patients would like to meet their doctors face to face instead of meeting them on video calls. It is quite evident that patient demand for using video calls for treatment is quite less but nevertheless it is there. The minority of patients who are interested in telehealth technologies can be leveraged to help bring telehealth technologies to the mainstream. Nowadays, X-rays, Computed Tomography (CT) Scans, Magnetic Resonance Imaging (MRI) results and lots of different medical information is being shared regularly by medical practitioners who are living hundreds and thousands of miles apart. When this kind of sharing becomes a rule rather than an exception, telehealth technologies will come to the mainstream. Then the telehealth technologies will be addressed and assumed in the medical regulations put forth by the countries around the world in state as well as federal levels. The standard model for payment for telehealth and telemedicine in the past was reimbursement. But this model is very likely to change in the coming future. This is due to the fact that nowadays, healthcare is not only provided by institutions and independent physicians. Present day experts are regularly administered by managed care associations, mind gatherings, and other vast concerns. Managed Care currently accounts for an excess of seventy million patients in the United States – about a fourth of the populace. As chief decision makers work at more noteworthy and more significant distances from locally located patients, the transmission of therapeutic information turns out to be increasingly vital. This will prompt its absorption into the “overhead” of medical costs as opposed to being dealt with as a reimbursable cost. The beginning of telemedicine saw government-upheld programs built up all through the United States. By and large, these systems used a brought together “hub” display in which data was gathered from a wide zone and sent to a noteworthy medical facility. Later on, however, more communication will happen specifically between independent healthcare facilities. These distributed systems are emerging where partners equal to each other share their remote medicinal assets. Examples like the Ontario Telehealth Network and the Arizona Telemedicine Program are a clear validation of this system. Mobile health is commonly referred to as mHealth, Mobile Health is a standout amongst the most energizing new improvements in telemedicine. The possibility of wide distribution of medicinal data to people including practitioners and patients utilizing mobile networking technologies is promising to a great degree. The potential outcomes are tremendous and empowering, despite the fact that a careful understanding of how these projects should function (and be paid for!) is still years away. The mHealth industry, alongside remote monitoring and telehealth, widely affects decreasing hospitalizations and emergency room visits all through the medicinal services spectrum by enhancing communication and coordination among authorities, specialists, attendants, and others. According to Doctorspring, a telemedicine company, that clinic readmission rates have been cut by seventy two percent while emergency room visits dropped by 86 percent with the utilization of mHealth applications and better communication applications. There are various interesting test case programs set up to share the value of centralized professionals over a more extensive geographic zone. Mercy Hospitals is a leader in this field with another virtual care center in Missouri proposed to serve a four-state territory. Inova Health Systems is experimenting with a more unobtrusive program in northern Virginia, where telemedicine offices enable a group of intensivists to provide services to 122 ICU beds which are located everywhere throughout the state. In addition, the individuals who have been truly profited by the virtual medical centres have demonstrated a positive reaction about the acceptance of this administration. 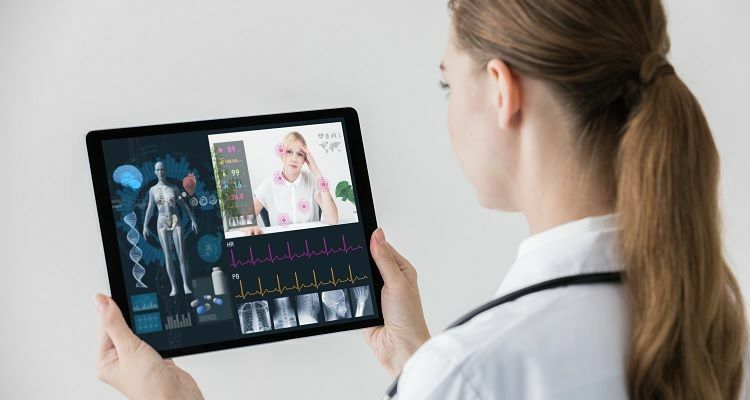 Since radiology has ended up being such a viable field for outsourcing by means of telemedicine, numerous clinics are presently taking a look at the likelihood of separating from numerous different specializations. Psychiatry, neurology, and numerous different specializations are ready for decentralization utilizing telehealth centres. There are as of now a few sellers giving remote care in the fields of dermatology, emotional wellness, and stroke control. Hospitals are also trying to get a piece of the cake which is leading to a more competitive and ever changing market.